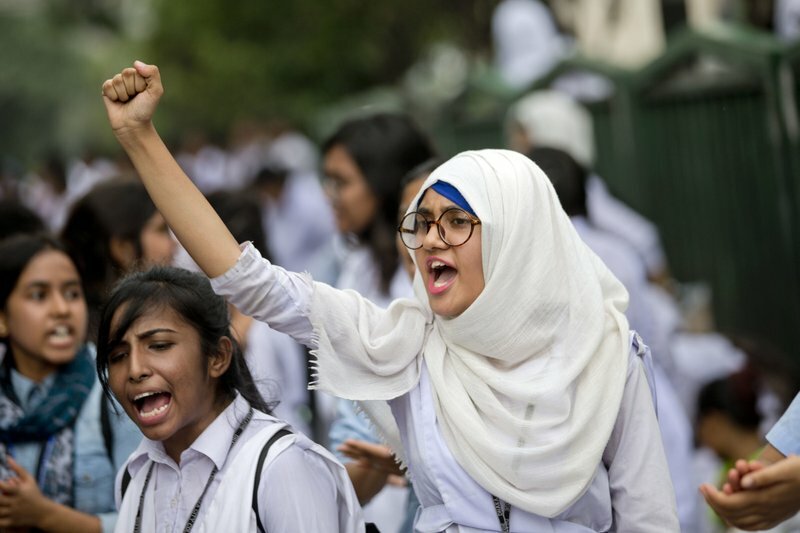 Police in Bangladesh’s capital fired tear gas and used batons on Saturday to disperse hundreds of protesting students angry over the traffic deaths of two fellow students, leaving many people injured. [post_ads]Dhaka remained largely cut off from the rest of Bangladesh as buses continued to stop plying from other parts of the country. The owners and workers of the bus companies have said they will not run their vehicles unless they feel safe after dozens of vehicles were either vandalized or torched in Dhaka and elsewhere. 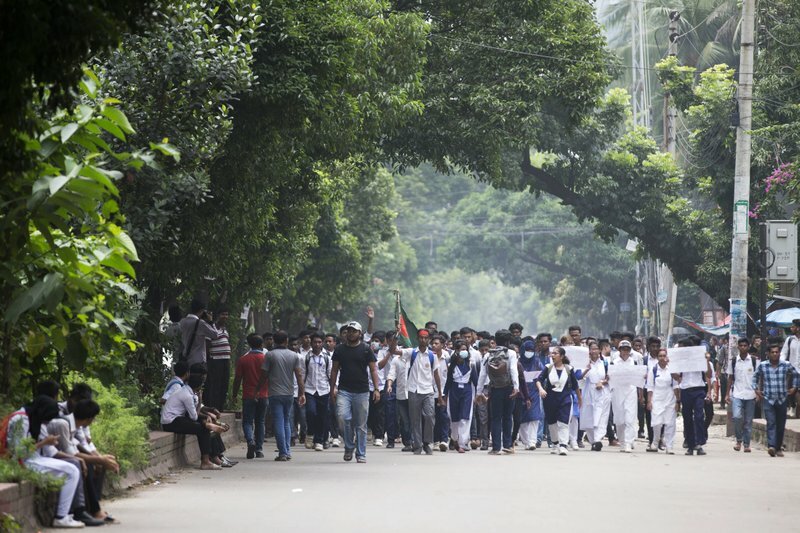 Witnesses and media reports said Saturday’s chaos broke out in Dhaka’s Dhanmondi area as police and ruling party men swooped in on the students. 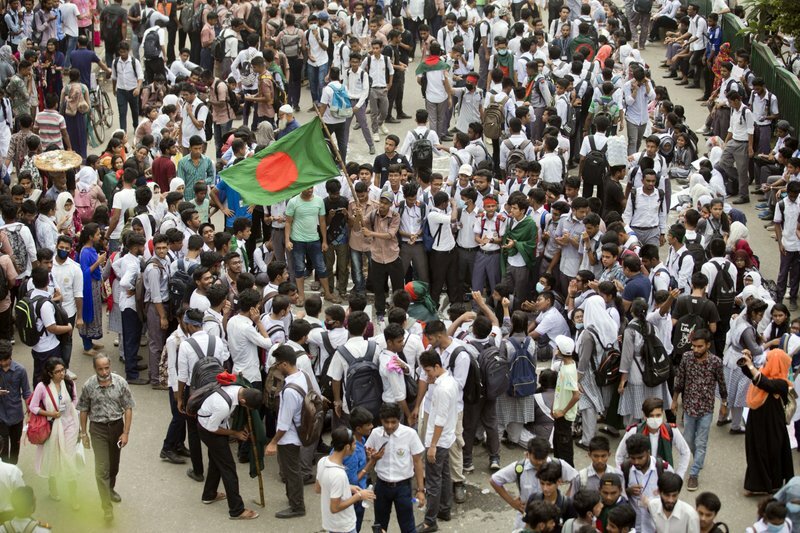 A top leader of the ruling Awami League said some “criminals” wearing school uniforms joined the violence. 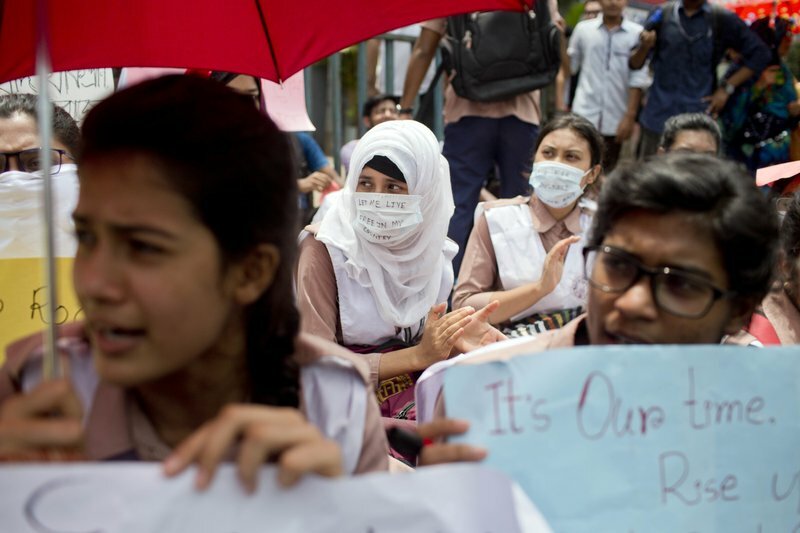 Many protesters blamed the student wing of the ruling party for the attacks. TV stations aired footage of the clashes, with protesters seen throwing stones at police as the chaos continued for hours. An Associated Press journalist at the scene said many people, including some journalists, were injured in the clashes. The English-language Daily Star reported that up to 25 people were injured. 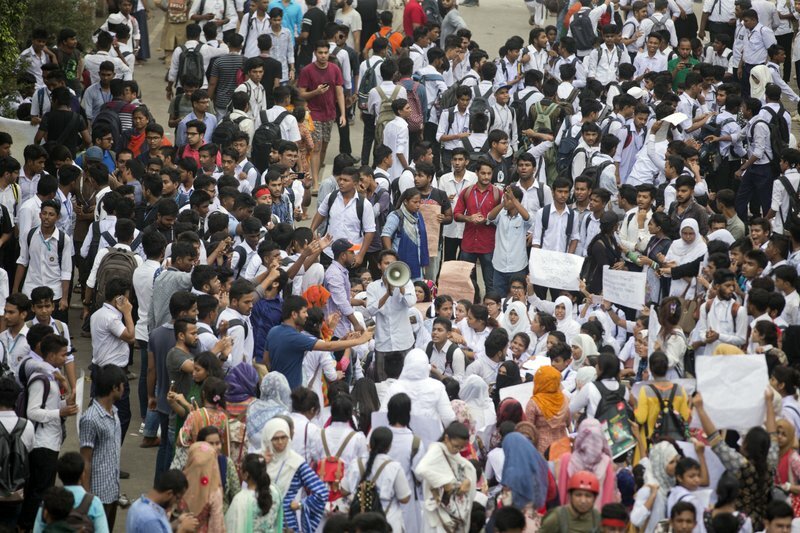 Thousands of other students took to the streets elsewhere in Dhaka on Saturday, but no major violence was reported. 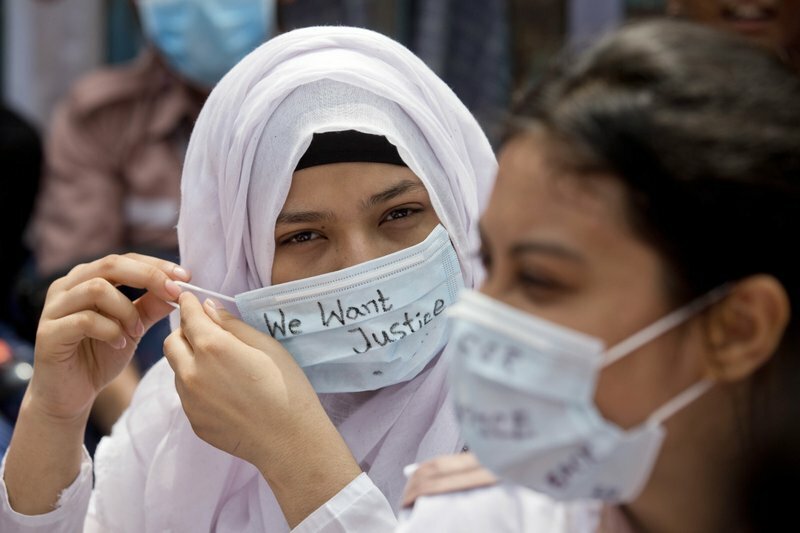 The protests, which began last Sunday after two college students were struck and killed by a pair of buses, have paralyzed Dhaka, a city of 10 million. The two buses were racing to collect passengers, a common occurrence in the city, which is regularly gridlocked by traffic chaos. The protests are an embarrassment for the government of Prime Minister Sheikh Hasina ahead of a general election due in December. 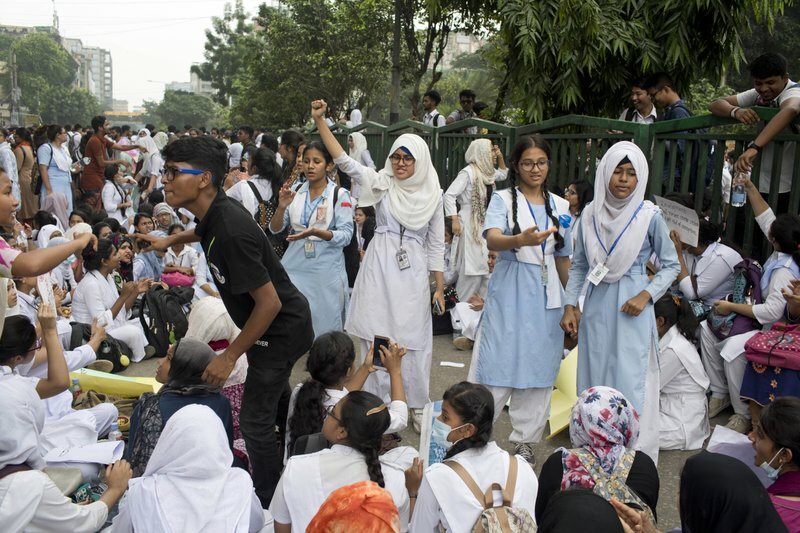 Hasina’s party is blaming the main opposition Bangladesh Nationalist Party, headed by former Prime Minister Khaleda Zia and its main ally Jamaat-e-Islami, for using the sentiment of young students to create chaos for political gains. Zia’s party formally extended its support to the protesters. Hasina also said their demands are justified and pledged to fulfill them in phases. 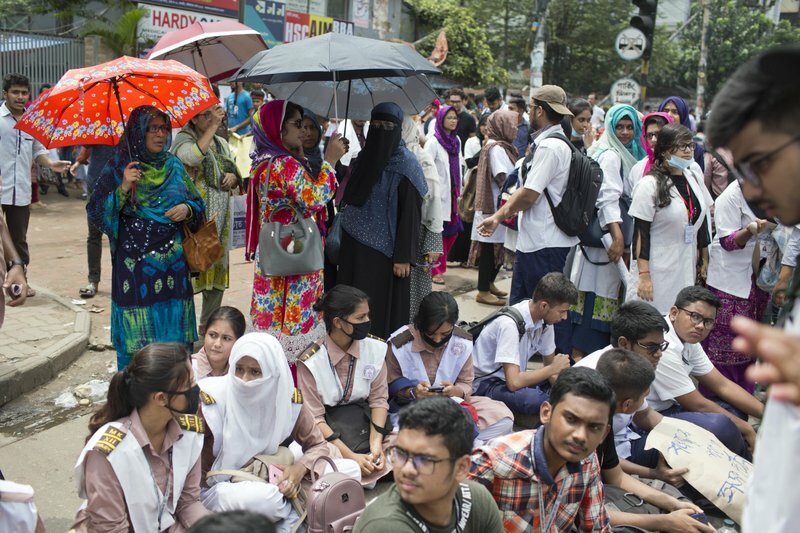 The protesters are demanding safer roads in Bangladesh, where corruption is rife, making it easy for unlicensed drivers and unregistered vehicles to ply the roads. At least 12,000 people die each year in road accidents often blamed on faulty vehicles, reckless driving and lax traffic enforcement. 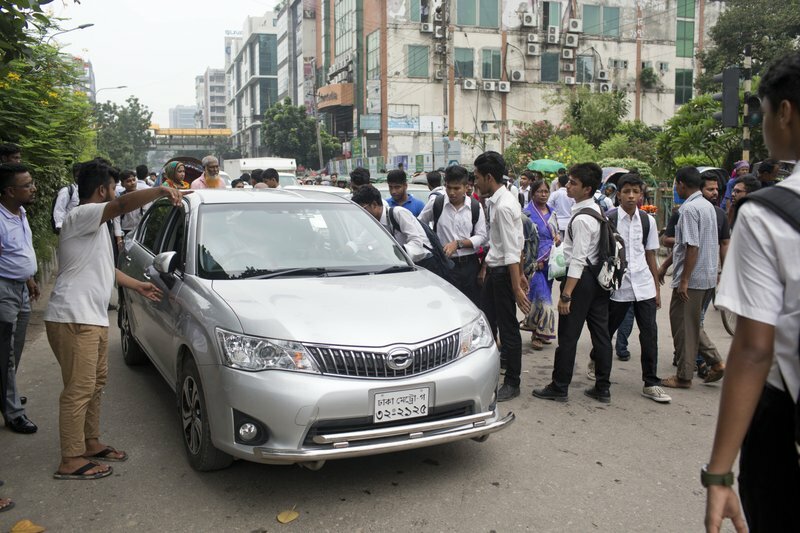 The students have stopped thousands of vehicles — including those of top officials and judges — demanding to see if the cars were registered and the drivers licensed.